The new film trailer is online on youtube now! Colour Grading at the KINO.NET studio is finished! Staying in Mainz (Germany) doing the special effects with Bernd Güssbacher. At the moment we are at the sound studio DIGITON with re-recording mixer Jürg von Allmen doing the audio post production of FIRE FIRE DESIRE. 25 August 2013 – FIRE, FIRE, DESIRE! 2013 Last shooting periode: Southeast Asia: September 1. – September 30. Zurich Film Foundation supports for the second time the development of the film HASSLER – NOS IMAGES. 3 June 2011 – FIRE, FIRE, DESIRE! First shooting periode in Thailand. screening at the 9. Gdansk Docfilm Festival, Gdansk – Poland. 8.30 pm, Kino Kameraine. The first version of the screenplay is completed. 128 pages! Uff! 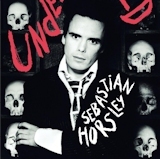 The British artist Sebastian Horsley is dead! R.I.P. Production: KINO.NET / Rainfire FilmsSteff Gruber, Diana Bärmann, Chris Jarvis and Joe Baker write the first version of the script DARK STREAM. Zurich Film Foundation supports the development for the film HASSLER – NOS IMAGES. 1 June 2009 – FIRE, FIRE, DESIRE! RAINFIRE NEWS: Research start of FIRE, FIRE, DESIRE! in Phnom Penh Cambodia . and Steff Gruber agree to make a movie about the British artist. It will be a biography. Onest and more true than any documentary could be: We will produce fiction!